Need more information on Caoxian Shuanglong Arts Crafts Plant located in Shandong China? 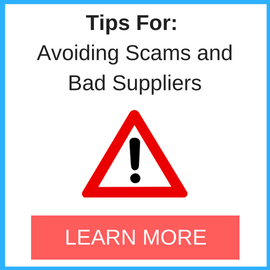 If you’re considering doing business with this company, read below to read one buyers experience with when they were looking to source Wood Boxes from them. 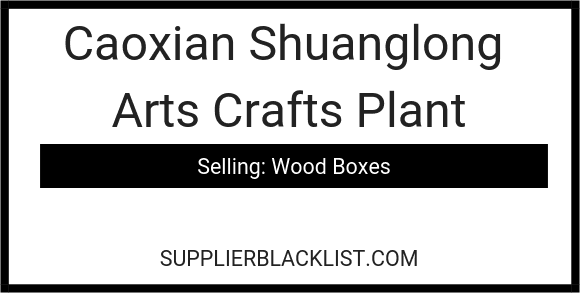 You will also find some links to help you find more related information about Caoxian Shuanglong Arts Crafts Plant on Supplier Blacklist and on Google as well as other bad suppliers of Wood Boxes reported here on SBL. I bought 300 wood boxes from this supplier and when they arrived to my warehouse they were very different from the sample, and actually they included some changes that render the boxes useless for the use they are intended (they included an inside divider glued and nailed to the frame, so it is not possible to remove it, while the sample had this internal divider loose, as it was the intention of the design). Also, they did not comply with the characteristics of the packing bag (they used cellophane, instead of the poly bag stated in the contract), the labeling (letters too small, that don´t comply with the contract either) and the packing protections (more than 35% of the boxes arrived damaged, because they used a very cheap and low quality wrapping paper). Also, the quality of the wood used is terrible, full of stains and it is not the wood stated in the contract, pine wood (they used paulonia). 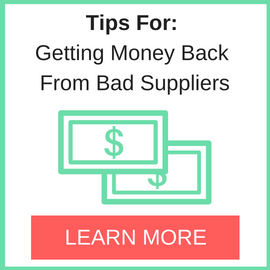 I tried several times to hold them accountable for all these mistakes and to produce at no cost to us 300 new boxes, but they refused to do so. Need More Info on Caoxian Shuanglong Arts Crafts Plant? If you need more information, you can click the below links to search for more submissions about Caoxian Shuanglong Arts Crafts Plant on Supplier Blacklist as well as go to the search results page on Google for more reviews online about this company. Perform a Supplier Blacklist search for more reviews on Caoxian Shuanglong Arts Crafts Plant. Search Google for Caoxian Shuanglong Arts Crafts Plant Reviews.